If you have upgraded your iPhone or iPad to the iOS 8 beta 1 and are experiencing some problems, here is a way to downgrade iOS 8 to iOS 7.1.1. It’s usual to experience frozen screens or lags in a beta update, there is no way why you can’t downgrade to a stable version. 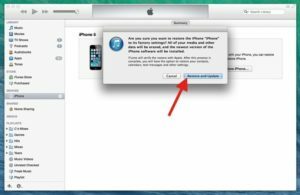 Create a back up of your iOS 8 powered device; or you could also restore to the backup that you created before updating to iOS 8. Enter into Recovery mode: turn off your iPhone or iPad and wait for it to completely shut down. Plug USB cord to the computer slot and hold down the Home button while connecting the USB cord’s other end to your iPhone. Keep holding the Home key until you see the recovery mode image. 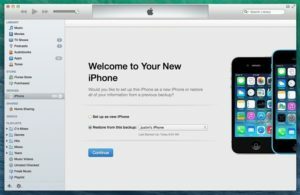 iTunes will then detect your iPhone in the recovery mode. 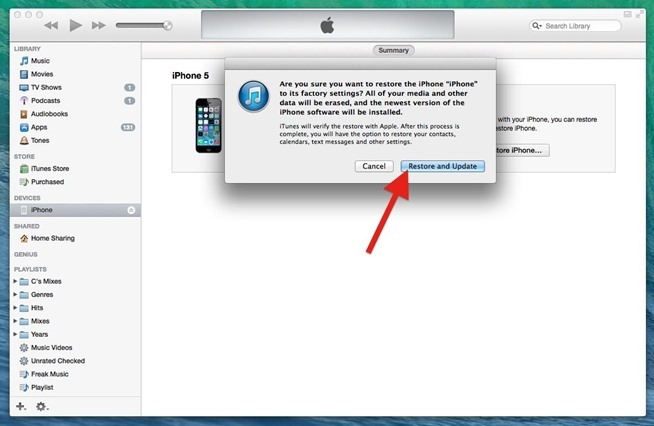 Here, press OK.
Once successfully in the recovery mode, you simply need to click on the Restore iPhone… button in the iTunes. No downloads or any other thing needed, simply restore. Next, click on Restore and Update and then Next to verify to downgrade iOS 8 to iOS 7.1.1. 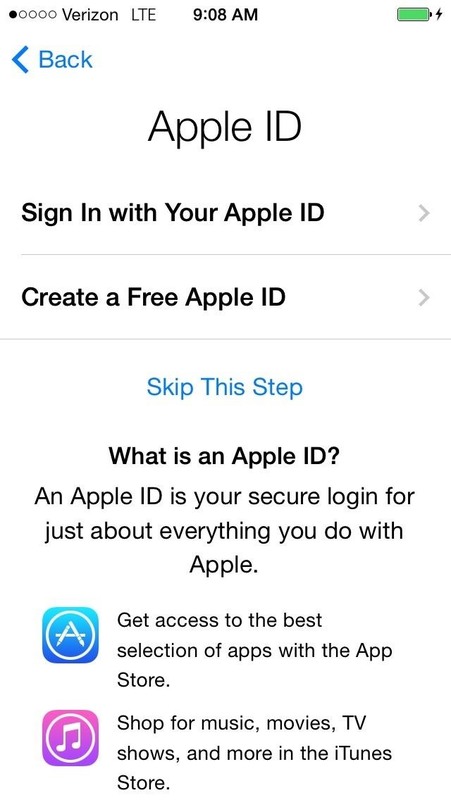 Agree to terms shown and it should start installing iOS 7.1.1 on your device. It would take a few minutes, so please be patient. 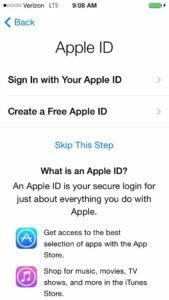 Once the restore process is completed successfully, activate your iPhone in the iTunes by entering your Apple ID and Password. You can here restore from a backup done earlier or simply start using the device fresh.